and bind them to their land. Urze de Lume é a memória viva do imaginário ancestral português. Taken from the album “As Árvores Estão Secas e Não Têm Folhas”, out on March 2018 via Equilibrium Music. Do álbum “As Árvores Estão Secas e Não Têm Folhas”, editado em Março de 2018 via Equilibrium Music. Taken from the EP “Vozes na Neblina”, out on February 2017 via Equilibrium Music. Do EP “Vozes na Neblina”, editado em Fevereiro de 2017 via Equilibrium Music. Stories past, living new life in the hands of today. Living the present, that in future will be Past. Awakening the old. As free as the wind blown by wood and echoed by the vibrating perring fur. Back to the land, to grass, to heather, to honey, to being. Fear covers the snow, like expanding music. Coarse yet finished. So claim the artisan’s hands. Urze de Lume represent a homage to the past. Strongly inspired by the Iberian tradition, their music aims to celebrate the roots which identify a people and bind them to their land. Their repertoire transmits the surviving soul of an era in which man and nature walked hand in hand, with respect for the land, the occult and its origins. 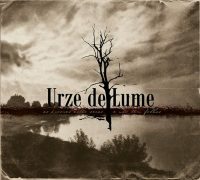 The main features of Urze de Lume is the use of Iberian ethnic instruments such as bagpipes, war drums, horns, ancient stringed instruments among others. This combination blossoms into a powerful and unique sound that summons the very deep Lusitanian roots. Fundado no inverno de 2009, Urze de Lume é uma forma de memória viva do imaginário ancestral português. Fortemente inspirado pela tradição ibérica, procura através da música celebrar as raízes que unem o povo à sua terra e o identificam. O seu repertório transmite a alma sobrevivente de uma era em que homem e natureza caminhavam lado a lado, com o respeito pela terra, pelo oculto e pela sua origem. The second and final chapter of URZE DE LUME‘s ode to Autumn. 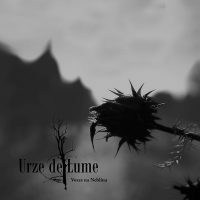 On their third album, URZE DE LUME turn inwards for a soothing journey which illustrates not only departure, but also homecoming, meticulously setting to music memories imbued with both nostalgia and longing. Bonds to both Nature and tradition are at the heart of the band’s rendition of Dark Folk, and both skillfully come together on this acoustic introspective incursion into life’s ever-looming solitude. URZE DE LUME take on a more quiet stance, in contemplation of the beauty of Fall.